A small tropical hideaway that allows adventurous travelers to experience the beauty and excitement of Roatan and the Caribbean. Charming wooden bungalows dot the resort’s palm filled hillside on a shimmering lagoon. 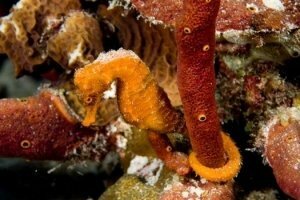 Five-star diving facilitates offer the chance for extensive shore, boat and night dives. Overall, Anthony’s Key Resort is our Roatan pick for some very special and relaxing diving. What’s included in a dive package?